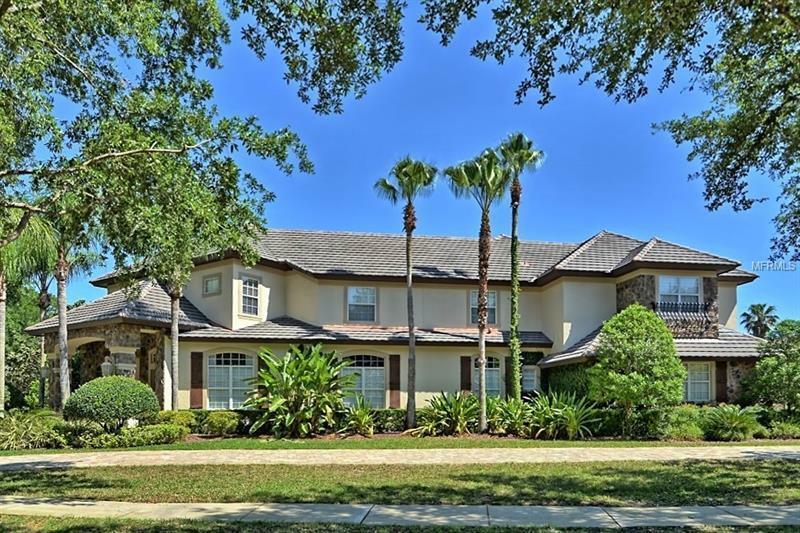 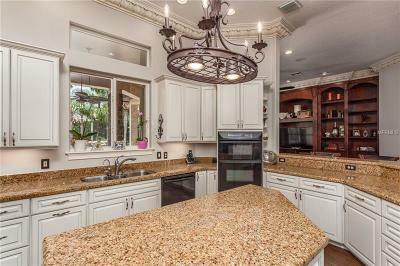 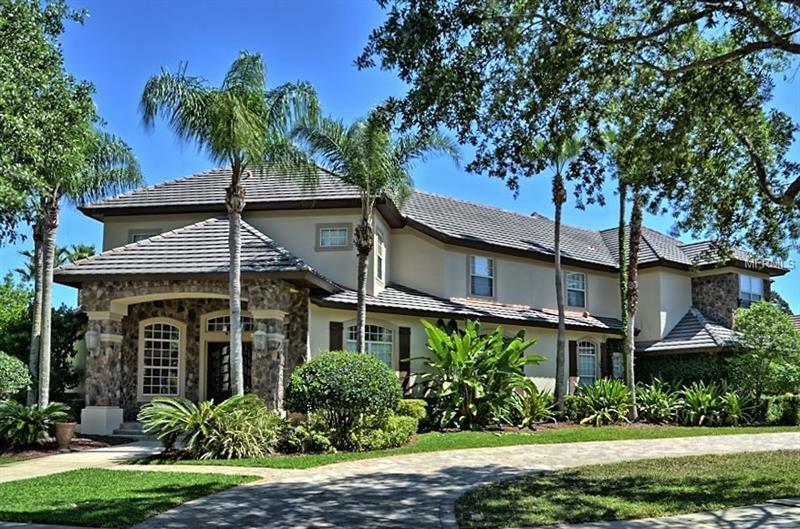 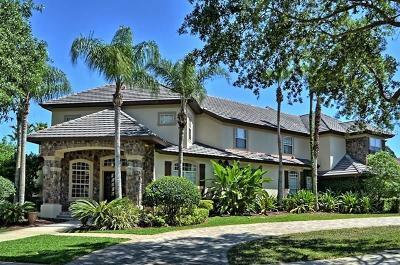 JUST REDUCED - Located in the Highly sought after Gated Golf community of Alaqua Lakes on an OVERSIZED corner home site. 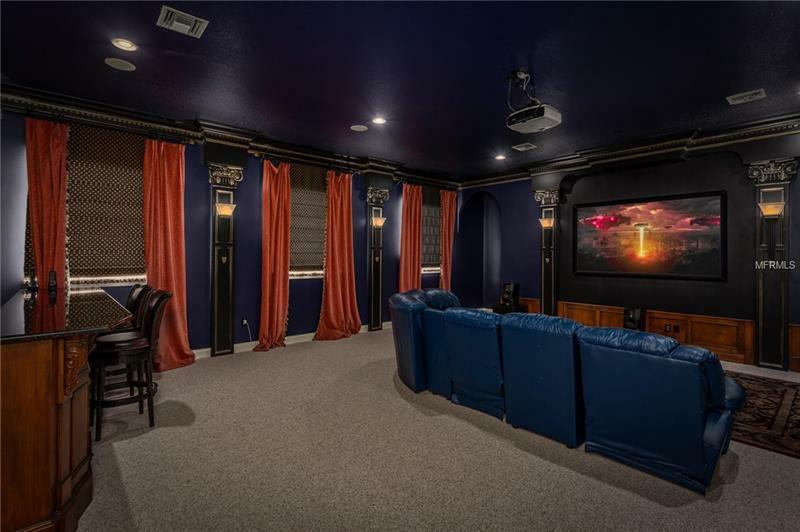 Freshly painted inside & outside this outstanding Beauty has 5 true bedrooms, 6 Bathrooms, Office & a Home Theater/Bonus Room. 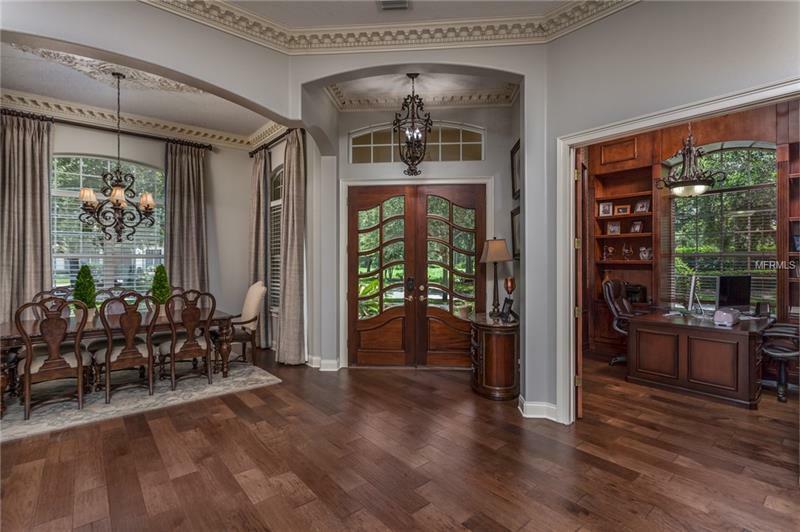 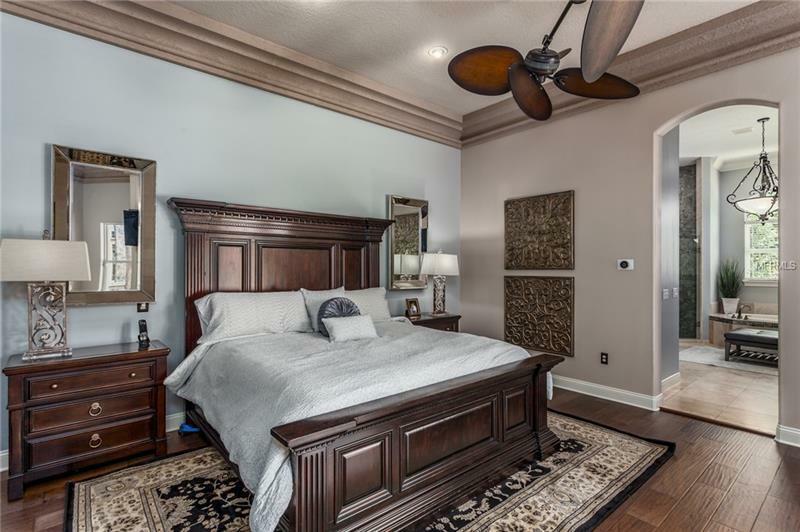 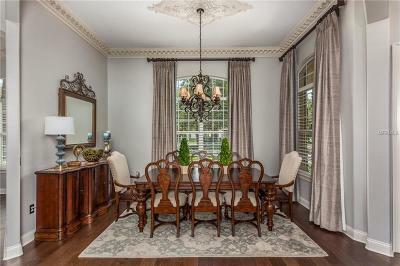 Upon entry you will see the Brand New Hickory Engineered Hardwood flooring throughout the entire first floor along w/the unobstructed pool & yard views, Living Room just the right size w/new French doors & Dining Room. 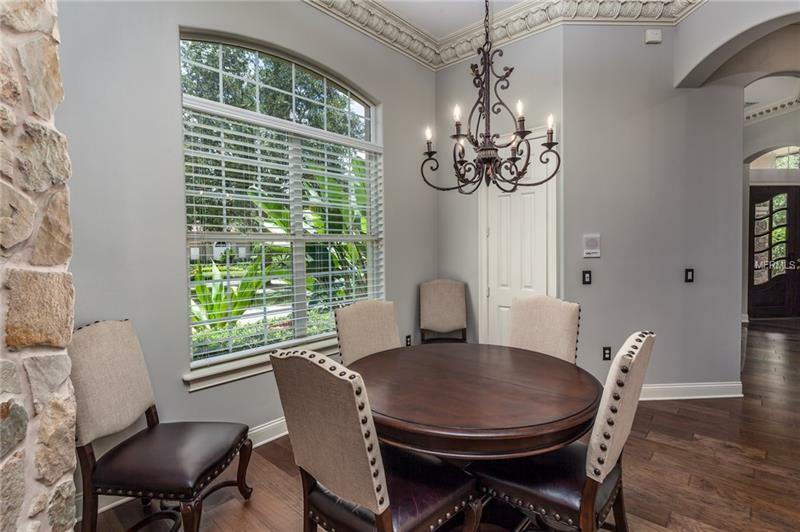 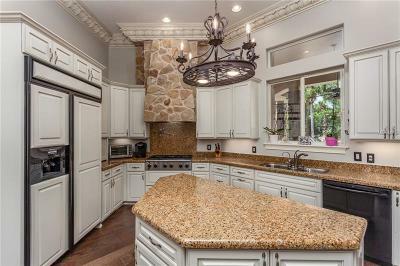 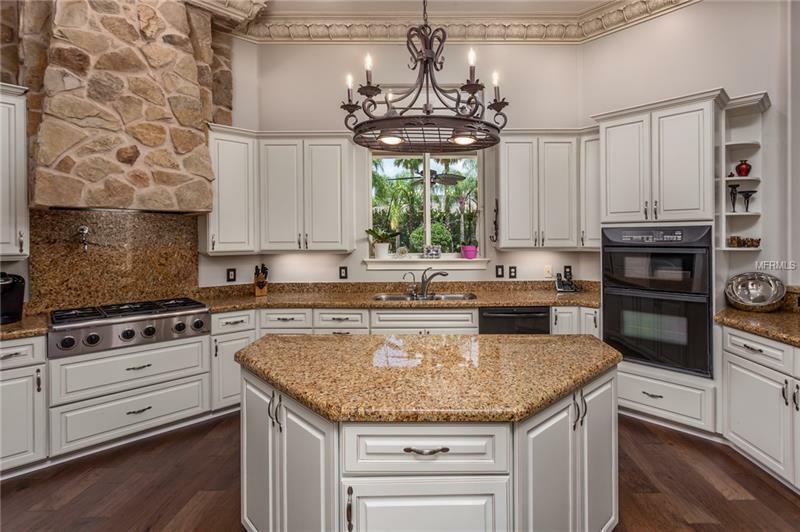 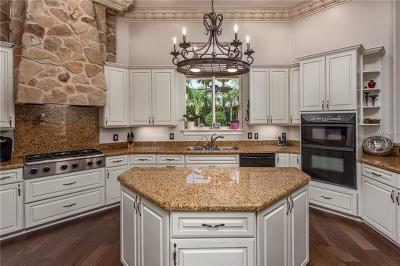 Recently upgraded Gourmet Kitchen w/Granite countertops & Island opens to the Eat-In Kitchen Nook & Family Room w/Built-In Entertainment Center & NEW French Doors leading out to the Swimming Pool. 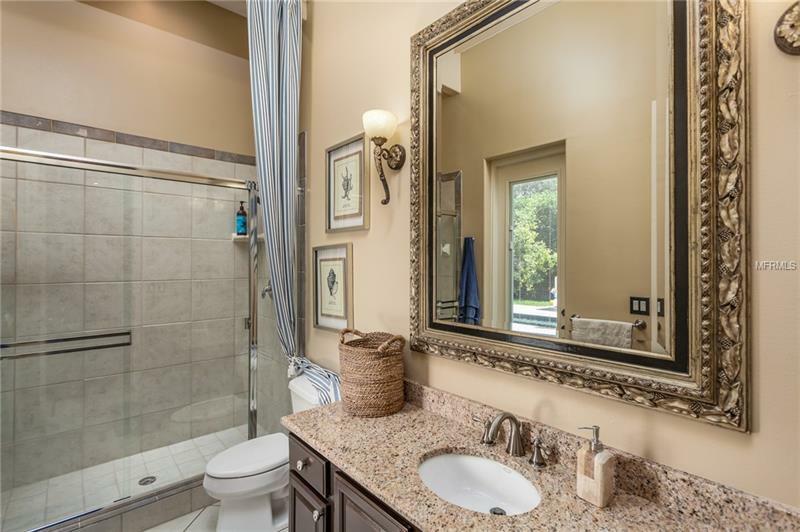 Spacious Master Bedroom w/Pool views, Recently Renovated Master Bathroom & 2 walk-in closets. 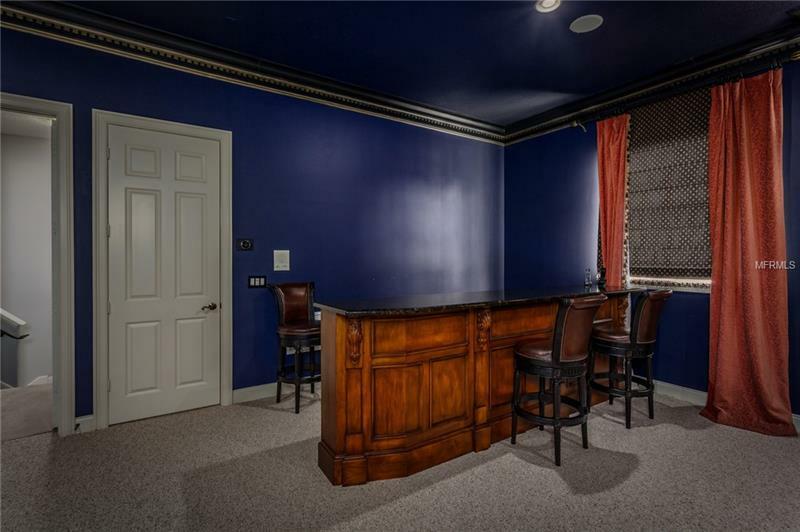 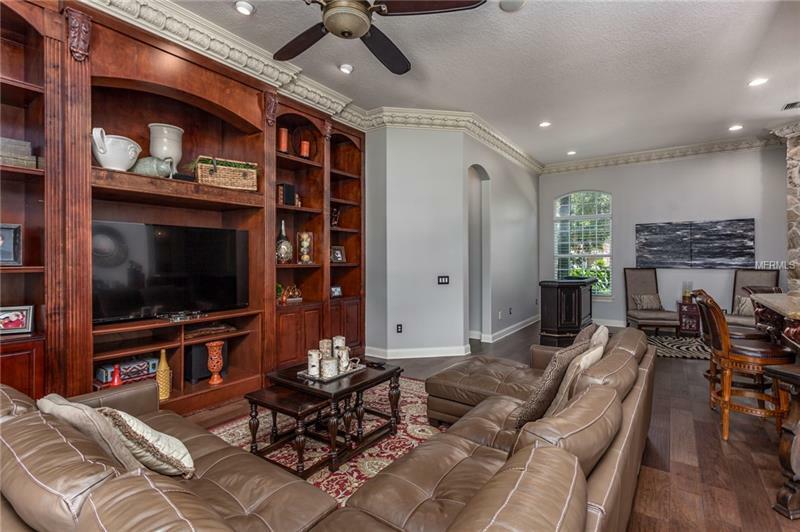 Upstairs you'll find 4 additional Bedrooms, one with its own bathroom & the other a Jack & Jill, a loft area perfect for the kids & an expanded Theater/Bonus Room w/full bathroom. Home features App controlled Nest Thermostats throughout & App controlled front & side door locks. 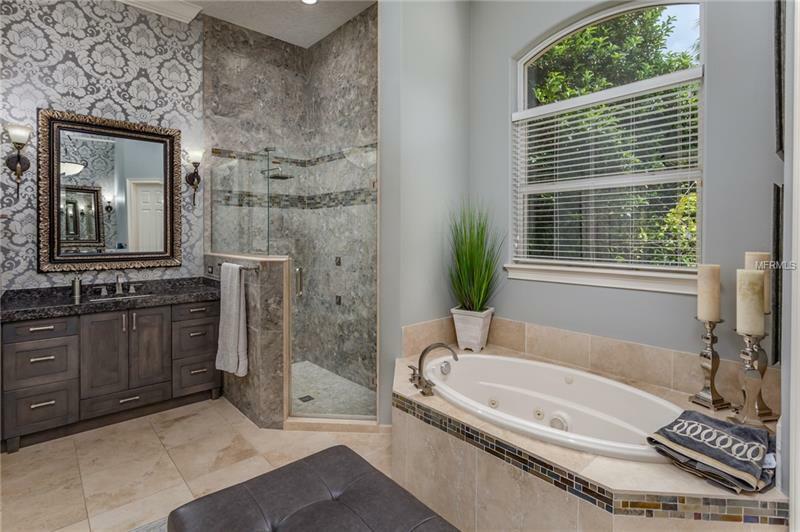 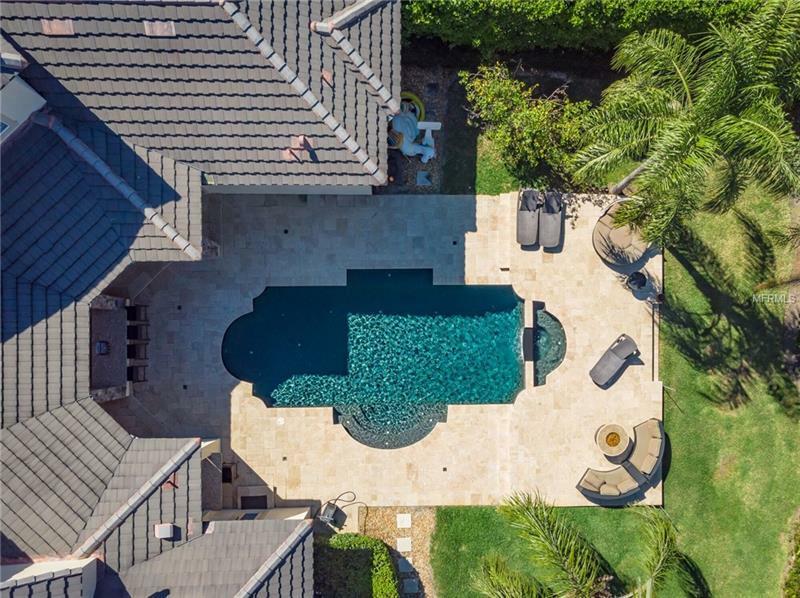 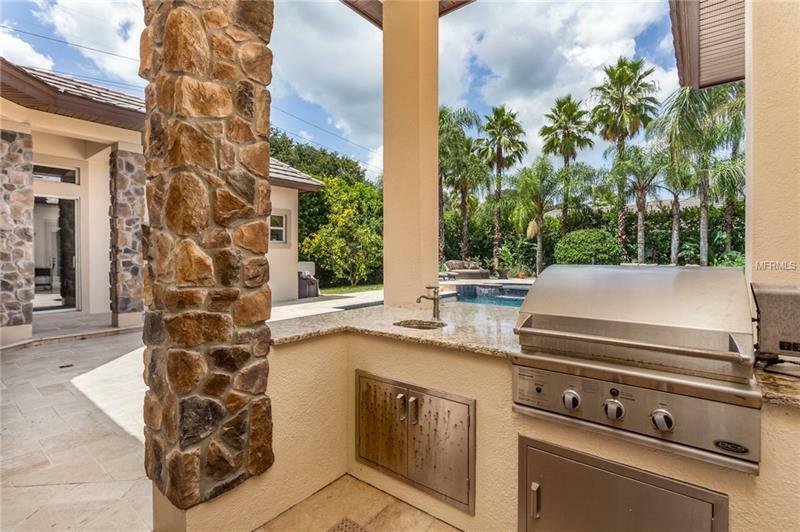 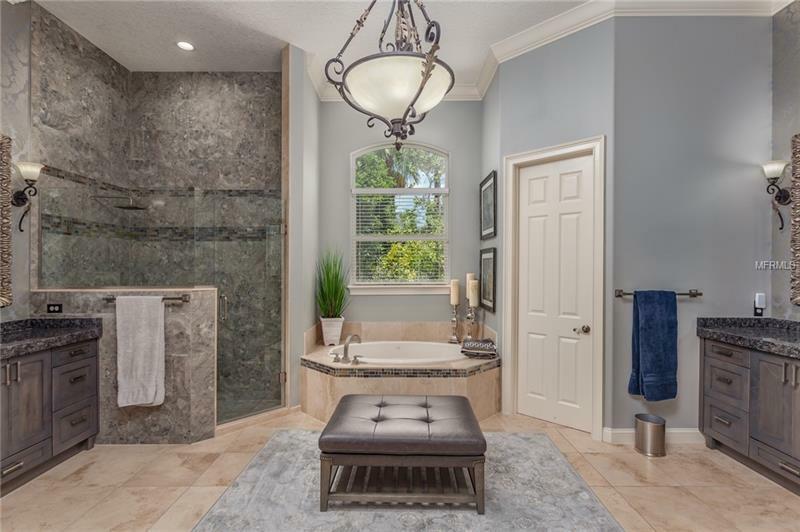 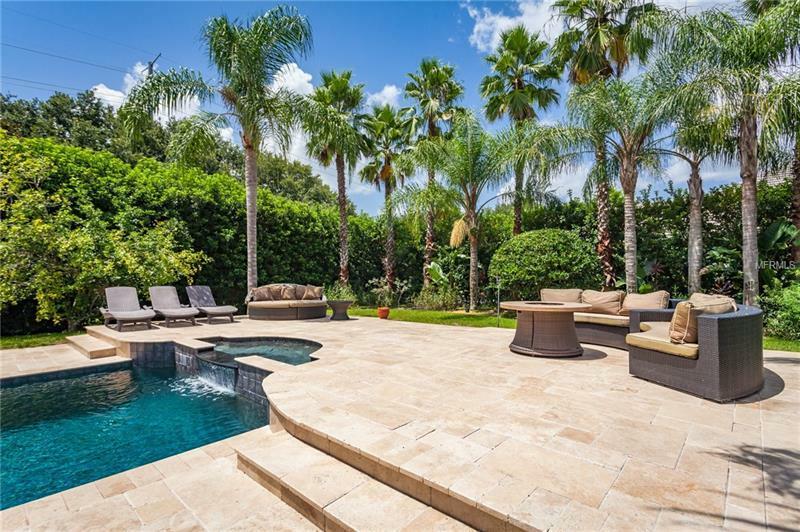 Step outside to a Private Fenced yard you will find a Large Crystal Clear Salt Water Swimming Pool w/LED lighting, Heated Spa, Travertine Paver Patio Deck, Summer Kitchen & Lush Tropical Landscaping. 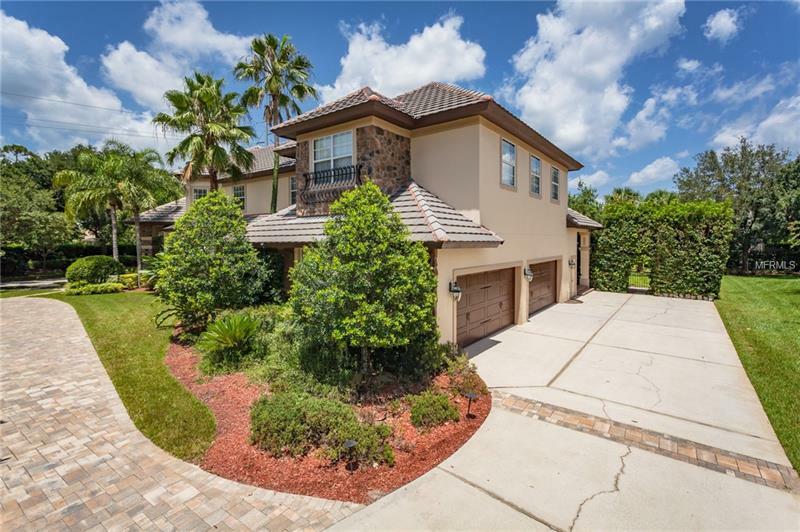 A rare 4 – Car Garage w/App controlled NEW Woodson Garage Doors and a NEW Paver Circular Driveway and AMAZING curb appeal. 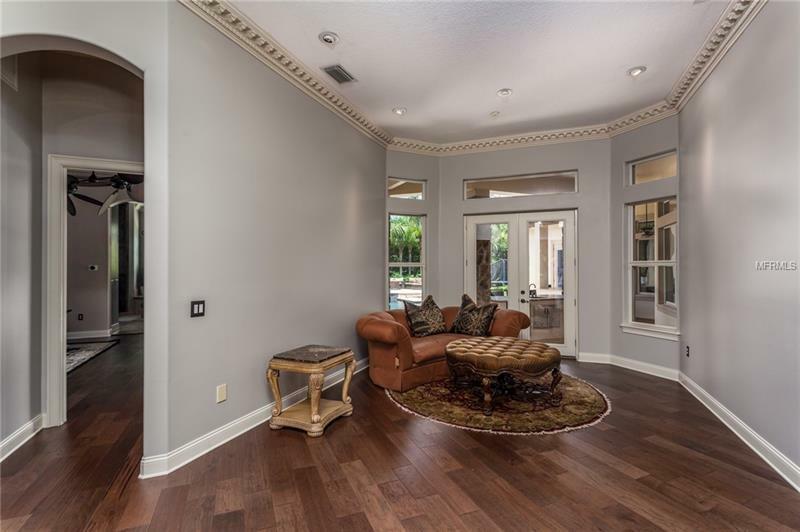 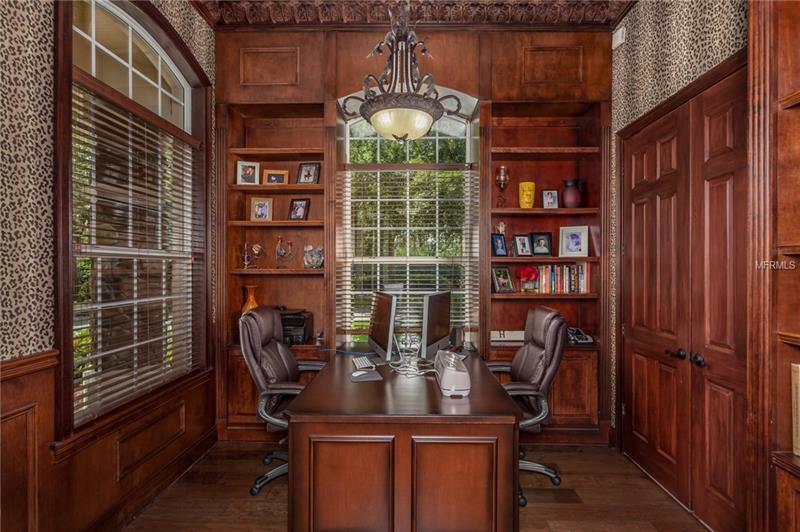 Community Features a Tom Fazio designed Golf Course, Club House, 7-acre park w/ a Community Pavilion, Pool, Tennis, Beach Volleyball & Basketball Courts, Ball Field.